Coun Stephen Parnaby, leader of the East Riding Council. 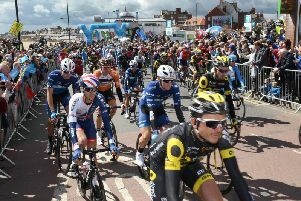 Scarborough and Bridlington have been selected to take part in the first ever Tour de Yorkshire international cycle race to be held on May 1 to 3. Full details of the route will be revealed on January 21, but the race is expected to become a flagship cycling event with an outstanding place in the international calendar including international teams. More than three million people turned out to the see the race in Yorkshire.